Today’s Minister of Economics, Labor and Health, Harry Glawe, rejects parliamentary work with human rights violations in Neubrandenburg psychiatric hospital and “The Hell of Ueckermünde.” In the former GDR, Glawe worked for many years as a ward nurse at the Ernst Moritz Arndt University Greifswald Clinic for Neurology and Psychiatry, which is not far from Ueckermünde. 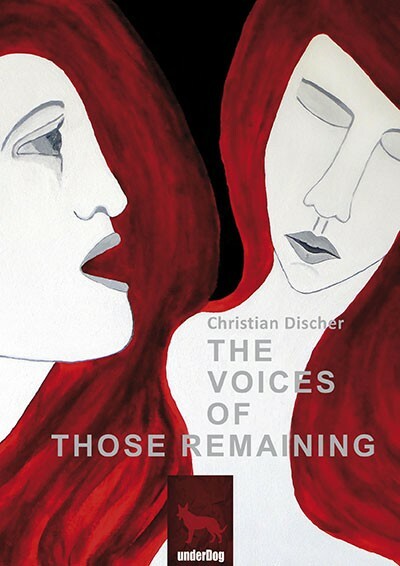 The victims in Ernst Klee’s documentary “The Hell of Ueckermünde — Psychiatry in the East” and those mentioned in the memoir “The Voices of Those Remaining” have received an answer to the petition to investigate human rights violations occurring in psychiatric hospitals in Neubrandenburg and Ueckermünde, which was submitted to the Ministry of Economics, Labor and Health in Mecklenburg-Western Pomeraniae. “The ministry claims the parliamentary investigation of the topics described in the petition Discher has requested is unnecessary because it is based on assumptions and claims which are false or, at the very least, exaggerated and distorted. In addition, the ministry stated, contrary to Discher’s opinion, that psychiatry in Germany is in no way characterized by the misuse of power, inhumane treatment or torture and psychiatric forced treatment. Rather, psychiatry is subject to strict legal requirement as well as state supervision.” According to the ministry, the treatment of people with mental illnesses housed in these institutions seeks to restore the ability of self-determinations and is subject to the rules of medical practice. It is not surprising that the efforts to raise awareness received no resonance or willing support in the Ministry. After all, the one responsible for such matters in the Ministry of Economics, Labor and Health, the current Minister for Economics, Labor and Health, Harry Glawe worked as a ward nurse at a clinic for neurology and psychiatry during the GDR era. Harry Glawe ended his nearly twenty-year profession as a nurse in the GDR shortly after reunification, choosing instead to make a name for himself in politics. Because the request was processed by his ministry, the decision to reject was to be expected. This is not the first time the needs of those requiring protection in Mecklenburg-Western Pomerania have been entrusted to individuals unsuited to the task. Recently, the Ministry of the Interior was criticized by the media when the e-mail correspondence of an employee of the Ministry of Interior Lorenz Caffier was made public, in which this person made derogatory remarks about the mentally ill. Birgit Hesse, Minister for Employment, Equality and Social Affairs in the state Mecklenburg-Western Pomerania at the time, made absolutely no reaction or statements in the past few years to the initiatives to raise awareness in the name of the voices of those remaining and the individuals depicted in Ernst Klee’s documentary. However, the ministry did note that it was in close contact with all those involved in the case of the autist Ernest Tenenbaum. An answer from the petitions committee in the regional parliament of Rhineland-Palatinate regarding the petition submitted for the case of Michael Perez has not yet been received.